The last line about Pretend Burials is my addition to a quote I took from a translated book from 1970 called Three Faces of Marxism .The active disinformation campaign we started looking at in the last post contradicts the informed contents of that Leonhard book, which quoted one Eastern European after another from the 1950s and 60s on the “true renaissance of Marxism … that is the beginning of an event, the beginning of something historic that concerns the future of us all.” I think that same something is going on now and it’s behind the documentable deceit surrounding (1) what learning standards like the Common Core are and why they are needed; (2) the determined effort starting in the late 80s to pretend the MH aspiration never existed and pretend that Soviet Communism=Marxism; and (3) the misrepresentation of what Martin Luther King aspired to engineer through civil rights laws and in the name of the Beloved Community that essentially coincides with the MH aspiration and the purpose of learning standards. That interconnection woke me up over the weekend and covering this up made me think of the need for pretend burials to protect these theories from the infamy of their history. If you think I am being disrespectful to Dr King, last week I noticed that part of the brigade pushing the organized disinfo campaign about the Common Core was involved with “The Life and Legacy of The Reverend Dr Martin Luther King” https://www.baylor.edu/washington/index.php?id=951374 .The event was somehow sold out before it was even publicly announced. That suggested to me that KIng’s legacy and the civil rights laws and their use to push Equity and Excellence in education had turned into a vehicle for something else that King may or may not have imagined. Since one of the speakers, Cornel West, wrote a book on the ethical dimensions of Marx’s thought I had an idea what that theory might be. It’s much harder to autopsy something that is supposedly buried and past history. If renaming it allows a theory to be operative without scrutiny or infamy that’s an excellent reason for deceit. Sure enough when I looked into whether that renaissance in a certain perspective influenced Dr King I found https://acton.org/publications/transatlantic/2018/01/15/3-reasons-martin-luther-king-jr-rejected-communism a recent attempt to misrepresent what MLK believed from a think tank active in pushing School Choice and once again falsely treating Communism and Marxism as synonymous. That whitewashing makes perfect sense if School Choice is actually a Trojan Horse to spread that unity of “practical movement and theoretical thought” in every type of school or education initiative. Let’s compare to this http://ownershipeconomy.net/2015/08/30/martin-luther-king-called-for-a-higher-synthesis/ as well as http://rajpatel.org/2010/01/18/martin-luther-king-we-are-not-interested-in-being-integrated-into-this-value-structure/ and we get a more accurate feel for where Dr King fits with our MH template. It turns out that everywhere we look into this vision of how to bring about a more just society sooner or later we find a forthright declaration of the need for “comprehensive information” and a new value structure that will be the “powerful force for altering the internal psychological structure of a human being”. We learn that a NEW kind of education is needed that will “develop the skills and deep habits of partnership and working across differences…the work of rebuilding our world requires a revitalization of abilities to see beyond what is to what can be. [This] combines a sacred and public spirit with the work of culture change to rebuild the moral and civic fabric of our society.” Now if that spirit gets wrapped up in the Good, True, and Beautiful or as a return to “the principles of America’s founding” will anyone notice the shift in the definitions or principles from what is historically accurate? The three areas of deceit not only come together when MH is properly understood, but framing as a civil rights issue brings in the rule of law as the enforcer. If we compare the quotes from my last post or in the comments there to Leonhard laying out the disdain of the USSR as representing a ‘historically transient form of socialism”; and “the humanist Marxists of different countries all agreed that neither the economic model of the Soviet Union (state ownership of the means of production; economic management by central, hierarchically structured planning), nor the political structure of the Soviet Union (dictatorial rule of the Party apparatus over all spheres of social life” and compare that with what so many so-called ‘conservative’ or libertarian think tanks are telling us Marxism is about, it is clear there is even more of an organized disinfo campaign trying to hide the MH vision than there is over what the Common Core is and what competency-based ed is really about. Just the way learning standards and competency frameworks really work and consistent with West acknowledging that he needed Gramsci’s thinking to get to his desired social transformations. We also have Kolakowski marvelling at how Gramsci and Marx got to the same place even though Marx’s manuscripts were still not known when Gramsci went to prison in the 20s. Both men were interested in “the question of the relation of human thoughts, feelings, and will to ‘objective’ social processes.” I just boldfaced those words to remind everyone that those words combined are what the definition of Excellence in K-12 actually means and what the civil rights laws are imposing in the name of Equity. I am going to close with a quote that in my mind connects all these aims to why these psychologically transformative techniques for a political purpose may be partly behind the rise of mass school shootings in places using them. But that requires accurate factual information and that’s the last thing this vision of education for the future has in store for us or our children. This post arose from my watching two different videos in the last month that left me deeply disturbed at the implications. The first was Learn Liberty’s “Marxism Explained in 2 Minutes” by Deirdre McCloskey where she said “Ideas themselves create consciousness. It’s not an outgrowth of the world’s material condition and the class struggle as Marx believed.” All of my extensive collection of books on what I shorthand as the MH philosophy–Marxist Humanism–regard Marx as believing that Ideas matter very much because they guide and motivate action in the present to change the nature of the future by transforming the nature of society. After I finished researching this post, we had the 200th anniversary this past weekend of Uncle Karl’s birth. This generated yet more pushes like this https://www.americanthinker.com/articles/2018/05/karl_marx_at_200_his_lethal_legacy_lingers.html pushing the idea that Marxism=Stalinism in Russia and that Marx did not believe Ideas mattered. If Ideas do matter in the MH vision and especially if the needed ideas can be sales pitched as ‘conservative,’ ‘grounded in the principles of America’s founding,’ or ‘necessary for self-governance’, then the MH vision comes roaring into everyday perception and actions via a new kind of education that gets at the neural structure of the mind and sells it as ‘learning to think critically’. That last quote was from a recent Freedom Center video touting the need for a Code of Ethics in K-12 and rightly complaining of Indoctrination. My problem though is that if the admitted Left wants a child to perceive and act through White Privilege or Racism as the motivating Category of Thought and the so-called Right hyping for School Choice wants the Child to think using “Do the Good. Seek the Truth. Create Beauty,” they are both providing Categories of Thought. All these concepts are designed to change behavior in the present in order to transform existing society by altering prevailing consciousness. See the problem? We have “conceptually synonymous lexical” phrases with the same function. If the MH vision is all about transforming ourselves and the world, we are headed down a troubling pathway with nary a head’s up as to what is really going on. I said there were two troubling videos. The other was a speech David Horowitz of the Freedom Center gave to a Young America’s Foundation luncheon on March 16 at the Reagan Ranch that was touted as “Unveiling the Left’s Agenda of Destruction”. Horowitz used language about America’s inspirational vision that “all people are equal in the eyes of God and therefore must be equal in the eyes of government and that they are endowed by their Creator with the right to Liberty” that reminded me a great deal of the humanistic slogans used in the MH vision. That created my working hypothesis that if the Left and Right can create shared understandings and motivating ideals in a substantial group of people under a variety of names and rationales, then the MH vision, especially in its cybernetic form, can come waltzing into the America that we love, or other free societies, without people being aware. Saying Marx didn’t care about Ideas makes that easier to do. Taking noted MH philosophers who fled to the West and taught, like Leszak Kolakowski, and then misrepresenting their criticism of what they called they called wrongheaded fallacy of Institutional Marxism of Stalinism as being what Totalitarianism is all about as this paper did https://www.newcriterion.com/issues/2005/6/leszek-kolakowski-the-anatomy-of-totalitarianism or giving essentially the same speech at a Hillsdale College forum in October 2017 on Soviet Communism and never mentioning all of Kolakowski’s MH work means that not only do Ideas matter, but few people even trying to listen in the 21st Century are likely to hear an honest representation of the continuing collective goals that must be accomplished via the mind. Unlike Kimball, I did not study under LK at Yale in the early 70s, but I do happen to have his translated into English book from 1968 called Toward a Marxist Humanism so we do have some ability to still eavesdrop on what must have been said. Contrary to what McCloskey stated above the MH philosophy is very much desirous of “replacing economic laws” with the “influence of ideology”. We should be very afraid in 2018 with all the talk all over the world of evidence-based policymaking that LK wrote that “theoretical knowledge of society continues to be a condition for the successful struggle of the communist movement.” Remember how I keep warning about a little c vision that we keep encountering as a communitarian ethos hiding behind supposedly conservative terms like Liberty and Freedom? Imagine the transformative power of first prescribing, and then being aware of, what a student was internalizing as a Habit of Mind that would then guide his seeing “the world in such terms and from such points of view as are necessary for him to adapt to it and transform it usefully.” And predictably too in known ways if you happen to be the prescriber aware of what the Categories of Thought are that are being inculcated into a student’s “conceptual apparatus.” What makes something totalitarian is actually not the existence of a gulag, but rather prescribing the categories that “constitute the total apparatus of concepts permitted in use and [that] are imposed as the sole and obligatory system of organizing one’s thinking.” Anyone not recognizing that concern of LK’s having been made operational in the new federal law that applies to the next school year’s requirement that all students must be assessed at least Higher Order Thinking Skills and whether they guide behavior? When Horowitz said in that same video mentioned above that the new Code of Ethics was needed because “You can’t indoctrinate young people. You have to let them make up their own minds,” I couldn’t understand how that rhetoric could be squared with how Learning Standards actually work or his call to Teach the students to Think Critically. Critical Thought requires the use of prescribed abstract categories. How is that actually making up your own mind? It seems more like the semblance of autonomy where the actual coercion gets internalized and becomes the driver of our decision-making but out of OUR sight (but not the prescribers in education, philanthropy, or the think tanks). Is Project-Based Learning then about academics to be learned or simply a means to change the child at the level of their mind and personality? If you think changing the child neurally will always come with rhetoric about social justice, any category of thought that seeks to impose a “viable system of value and perceptual relevance (ideologies)” will actually do. Notice the same language from Classical Education and the Barney Charter School Initiative being used back in 1965 from “The Development of Cybernetics” in The American Behavioral Scientist: “Hence in dealing with social systems in which men form the ultimate self-regulating components, we must deal with the problem of the adequacy of perception and of value to effective action within a natural and human environment. The analysis of men and societies as self-regulating systems brings us back to the perennial philosophic problems of the Good and the True. We need to consider now whether all the deceit about the Common Core and now Marxism may well be hidden in language about ‘conservative thought’ or ‘principles of self-governance’ as used in this press release. http://www.bradleyfdn.org/Portals/1/PDF%20Files/GEORGE%20WILL_Press%20Release-23Apr2018.pdf .After all, one of the other historic terms for the MH vision that I did not have a chance to cover yet is the “socialism of self-management”. What if self-governance, self-regulation, self-discipline, and self-management are all conceptual synonyms describing a person with the desired internalized systems of thought and value that can act as a steerable rudder for anyone with power who knows they exist? That would be the MH vision of Freedom and Liberty and that really should give us pause. We are all in agreement though that Ideas do Matter. It’s why they need to be known and discussed accurately and not just in terms of their Usefulness for Social Planning Purposes. Now that we have finished that Trilogy, let’s put the parts together since I happen to have https://democracylab.de/wp-content/uploads/2018/03/Democracy-Lab_Anthology-on-Democratic-Innovation_final-1.pdf explaining that this vision of ‘education and action learning’ can generate ‘shared understandings’ that will become the “building blocks for a new DNA of thriving democracy” and the “conscious evolution of our social systems.” That’s why Learn Liberty from the last post and its “Heuristics” video call for “Intellectual Humility” euphemized the same type of sought change. Instead, we are instructed to begin “recognizing the flawed nature of [our] thinking [as] a bold first step to challenging it” and “be humble about our views.” Yet those of us paying attention will recognize this aim as functioning just like Carol Dweck’s Growth Mindset as something all 21st century students globally should now have. That quote certainly explains why every type of K-12 education now pushes a Tranzi OBE vision, doesn’t it? At stake are “attempts to influence our ideas about the possible and desirable forms of human association in each domain of social life.” Action learning instead of lectures makes sense for a change in classroom practice in this transformative vision when it is “the ideas we act out in our relations to one another [that] must, more than the ones we profess, be the object of concern.” Weigel was calling for much the same change when he emphasized that religion and education should create a properly cathected individual obedient to instilled values and Ideals. We have also seen this same aim pitched by creativity advocate John Raven as creating a ‘steerable rudder’ at the level of the mind and heart. Without using the “M” word as I did in the last post, when Unger wrote of the need to “rely on institutional arrangements, established in law [good thing he is at Harvard Law, huh? ], that restrain governmental or private oppression even as they secure a universal minimum of endowments to everyone,” it is still Uncle Karl’s ultimate vision he is describing. In the 21st century, preschool to higher ed are all being restructured to target the values and Ideas that guide an individual’s decisions and motivate his actions. This is all hidden for the most part and lied about by so many in the employ of think tanks and the media on all sides because we are no longer free NOT to “change our enacted beliefs about the possible and desirable forms of human association.” Education targets that internalized OS, as a government mandate from all levels enacted as a matter of law, precisely because this “effort to envisage and to establish a greater life for the common man” requires a new purpose for education. That purpose necessitates new Ideas, practices, and arrangements that will, at a neural level, “bridge the gap between the personal and the political.” Hard to see though under euphemisms like Intellectual Humility, Excellence, or Quality Learning. All of these ultimately target what Unger said would be needed to get what he called Deep Freedom, a much more alluring phrase than that M word. In other words, a new internalized OS. a/k/a student-centered learning. Years ago, back when I was a college student, I spent a summer studying at Oxford University in England. I got to pull books and work in the reading room of the Radcliffe Camera and cut through worn stone paths in medieval colleges. For me, historical people and ideas are not something anyone supplied as a useful perspective on how to see the world. These are frequently people I almost feel like I could carry on a conversation with. I certainly have been known to carry on conversations about them. I suppose that is what makes it far easier for me to see when Ideas or people are being misportrayed. If someone has transformational plans for society, our economy, and our political systems and does not want opposition, what better tool than K-12 education? And if you want history to be at the core of a drastically revised curriculum so that “we can leave it to our students to apply their knowledge, values, and experiences to the world they must create,” what better reason can there be to manipulate those values and experiences and the Ideas that are now to substitute for knowledge? The latter quote was taken from the 1987 “Education for Democracy: A Statement of Principles: Guidelines for Strengthening the Teaching of American Values” that those new Massachusetts standards we met in the last post said was the impetus for all the standards-based education pushes since, including the Common Core. The Ideas come from domain-specific literacy, which Reading Like a Historian said in italics just like that had been created by the National Governors Association’s Center for Best Practices. As I discovered yesterday when I was at an Emory Law program that sought to interpret the Parkland mass murders through the ‘lenses’ of Domestic Violence and the Legacy of the Lost Cause, the offered Ideas and concepts to guide perception and the interpretation of people and events may have little connection to actual facts on the ground. Likewise, at a legal program last fall that turned out to be very Idea-centric in what I was supposed to accept with ‘facts’ used merely to illustrate the point, it was very clear to me that the presenter hoped that his audience knew nothing about Henry VIII other than his much-hyped six wives. Likewise, when I read Larry Arnn’s book The Founders’ Key because of Hillsdale’s heavy involvement now in K-12 reform I discovered erroneous examples to illustrate his Ideas from first, Thomas More, and then poor Queen Anne, the last of the Stuart monarchs. My point is that in all these instances it was extensive, preexisting knowledge of the type that is now disallowed unless someone is a voracious, independent reader that led me to recognize that the offered Ideas or illustrating points were inapt. The Ideas are generally offered up to appeal to emotions and to create motivation to push for transformative change. If, like me, cathected is a new word for you, I found it in the vision of this author https://nationalaffairs.com/publications/detail/democracy-and-its-discontents which had common financing via the Bradley Foundation with the same new history standards called for in 1987 and the communitarian-oriented Council on Civil Society funded in the late 90s and then the 2003 Hardwired to Connect. Weigel’s call for ‘cathected individuals’ who would reject the ‘imperious autonomous Self’ reminded me a great deal of the Tranzi OBE remake of the students pushed in the 90s until it became notorious after Columbine and the Portraits of a Graduate or Learner profiles we are seeing now. It was all originally called for back in 1987 with clear ties to the Rockefeller Foundation, the NEH, and even Martin Luther King’s actual vision via his close friend, Bayard Rustin, who signed. That was MLK and ultimately number 1 of those Fundamental Principles is that “We are rooted in a moral analysis based on our deepest religious and constitutional values that demand justice for all. Moral revival is necessary to save the heart and soul of our democracy.” Those new Ideas and values need to be embedded neurally as practiced Habits of Mind. It may only be Catholic educators referring to the ‘cathected’ student, but the concept of cathexis, even if stated through euphemisms, is at the core of all these curriculum reforms throughout every type of education alternative I have reviewed. Having poked around on the Left and recognizing names like Diana Ravitch, Chester Finn, and Bill Bennett on the 1987 document lets look likewise to the supposed Right and what the Charles Koch Institute and other members of the State Policy Network are pushing that gets to the same place. Back in March I saw an article from the Independence Institute with a title “How to Restore the Founder’s Vision of Liberty for America?”, which sounded rather Idea-centric and contrary to where my personal store of facts would take me. I did notice though that the broad Ideas would fit with the Marxist Humanist vision I keep encountering in my education research (without looking). At its core, it is where both that 1968 MLK position and the 1987 Education for Democracy, and thus the 2018 Massachusetts standards, all intend to go. The article was by a William Watkins so I looked up his background and saw he had been a fellow at the Center for Humane Studies at George Mason. That got my attention with their push of History Matters (covered in last post) and ties to Neuroeconomics. Looking into IHS further pulled up more ties to the insights and individuals we have covered at ISC and in my book Credentialed to Destroy. Too extensive to lay out here, but every reason to look at their Learn Liberty initiative launched in 2011 to “Explore the ideas of a free society.” Me, I just want to go back to Oxford and get away from that now ubiquitous ‘I’ word, but my knee is still not ready for that much walking. So I settled in with a cup of Lapsang Souchong tea to watch the videos where “we tackle big questions about what makes society free or prosperous and how we can improve the world we live in.” http://www.learnliberty.org/blog/learn-liberty-turns-7/ gets you to what I watched. In case the word ‘Heuristics’ is missing from your vocabulary as it once was in mine, you can substitute other words–Ideas, Concepts, Lenses, or Guiding Principles. If there is a desire to get a ‘change in consciousness’ and a broad segment of the public is to have ‘shared meanings’, few things work better than common learning standards that get at How to Think and Ideas we should use in our decision-making. Learn Liberty posted a January 8, 2018 video from a professor Howard Baetjer called “What is Communism?” that appears designed to mislead away from the Marxist Humanist visions that are so in play in 2018. The vision MLK wanted, what Education for Democracy sought to create, and what learning standards and competency frameworks also impose, no matter what level of government is pushing them. For anyone without Wolfgang Leonhard’s Three Faces of Marxism: The Political Concepts of Soviet Ideology, Maoism, and Humanist Marxism or Leszek Kolakowski’s Main Currents of Marxism: The Breakdown not just on hand, but read and marked up, I am not calling names or making allegations here. There is a template for little ‘c’ communism and when everyone is using euphemisms and Idea-centric K-12 education to impose that vision without scrutiny, we have every right to notice if we still can. I think all these videos, but especially that Baetjer one want us to see communism only as “common ownership of the means of production” and never “private ownership”. Meanwhile, the K-12 programs being offered online, in public schools, in parochial schools, in independent schools, and frequently now what gets pushed on homeschoolers via what is eligible for Educational Savings Account reimbursement are ALL Idea-centric and value-oriented. Have you noticed that all these pushes about Ideas do not seem to want us to strip away from the Idea As Supplied that veneer that it still means what we all traditionally associate with any of these terms? I thought we better start talking about all this while the Internet still remains somewhat free. I really don’t want my generation to be among the last to have had the liberty to have a genuinely free mind. If learning standards and curriculum are being created to control that “spiritual environment” so that the Ideas change the student who then acts differently in, and on, their daily physical environment and that changed environment in turn changes the student further at the very level of the consciousness and physiological brain, we have an excellent reason for all the deceit. Likewise, we can appreciate why the UN and other international organizations have stated repeatedly that changes in education alone can force the implementation of the Equity for All Agenda globally by 2030. No need for any gulags, in other words, to be a visual tip-off of coercion when Ideas and school curriculum become the tools of choice. https://ec.europa.eu/digital-single-market/en/news/final-report-high-level-expert-group-fake-news-and-online-disinformation came out in March and lays out the New Media Ecosystem and its ability to control prevailing information that both Facebook and Google and other social media companies will be involved in. That “multi-dimensional approach to disinformation” also lays out the Media and Information Literacy efforts to be introduced in the schools and international assessments like PISA to ensure a “reassessment and adjustment of educational policies.” The compulsion suddenly that can both drive and control prevailing ideas that students use to think about their experiences and the world around them is largely hidden from sight at the very time it is asserted as the very remedy for the supposed ubiquity of Fake News and Disinformation. Coerce that representational level then and you control the drivers of perception and future behavior with hardly anyone being much the wiser. How do we know, for sure, that is the area being manipulated if you don’t have a handy copy of the two books I just referred to? Take a look then at http://www.doe.mass.edu/bese/docs/FY2018/2018-01/item2-public-comment-draft.pdf and its vision on page 10 that the purpose of the History and Social Studies Curriculum is “All students in the Commonwealth of Massachusetts must be educated to evaluate competing ideas, to understand the past, and to promote the ideals of equality, justice, liberty, and the common good for all peoples in the world.” Methinks, the Dalai Lama would approve. That link, from January 2018, also links to Recommended History and Social Science Websites that includes News and Media Literacy, the SHEG Reading like a Historian, the UCLA Center for History in the Schools, UNESCO, the World Bank, the OECD, and that National Constitution Center with its communitarian definitions of Freedom and Liberty (the advantages of their being Ideas and not facts is no one is likely to notice the crucial shift). Other listed websites though tie directly to the deceit around learning standards and also the push for charter schools and school choice via other experimental economic theories like vouchers or Education Savings Accounts. It turns out that a partner of SHEG in transforming “best practices in history teaching and learning” is George Mason University with its History Matters, World History Matters, and Center for History and New Media. Controlling Ideas is so useful, isn’t it? We can appreciate that factual knowledge really gets in the way of a deliberately controlled narrative when I noticed that the National Endowment for the Humanities (NEH) created the original endowment for the New Media History Center. Before Bill Bennett was Education Secretary he headed NEH so that was his background when he and NGA head Lamar Alexander launched the state/federal learning standards movement via “Project Education Reform: Time for Results” in the mid-1980s. No wonder that push wanted to emphasize Higher Order Thinking Skills (supplied Ideas that act at a representational level) as a key reform. The Rockefeller Foundation had likewise begun funding such disciplinary curriculum reforms in the humanities back in 1980. Fascinating, since GMU’s History Matters shows it was originally created through funding by NEH and the Rockefeller and Kellogg Foundations. Remember too that the official manual of what constitutes “evidence-based policymaking” in education or any other social sciences was created with Kellogg funding. Suddenly, history thinking and reading becomes a means “for making sense of the present…It allows us to undertake sensible inquiry into the political, social, or moral issues that trouble us…[and] achieve the informed, discriminating citizenship essential to democratic government.” https://www.macmillanlearning.com/Catalog/uploadedFiles/Content/BSM/Discipline/History/Preview_LearntoThinkReadLikeHistorian.pdf is the source of that quote. Lest there be any question that students are being trained to be historical change makers in just the very way that Marxist Humanism envisioned when it rolled out officially and globally back in 1962, let’s use a further quote from above. “As the past creates the present, it also shapes everything that is still to come. By teaching us that societies and institutions can change, that people have not always been as they are now, and that long-standing conflicts can sometimes be resolved, history can provide guidance for the future. Historical inquiry and understanding cannot tell us precisely what we should do to make constructive change in the world…” Only that students must act to make such change. The curriculum provides the Ideas that it calls historical categories of inquiry. These supplied categories are supposed to “create the mental framework to hang the details that follow” in the form of classroom activities, projects, and online work via those websites cited above. These categories of thought are supposed to be about history or “the past”, but in reality they become Habits of Mind used daily to confront whatever experiences come a student’s way. If you want to invisibly instill those prevailing Ideas, just embed them in these learning experiences.” I am going to close then with a quote where the … is where I took out the phrase “about the past”. These Ideas or categories of thought then actually manipulate the mind at a level that can only be detected if someone like me writes about it and somebody like you reads this post or my book. Lots of reason then to control the Internet, what will be regarded as valid sources of information, and the learning standards that control what the growing, malleable mind internalizes at a neural level. Let’s go back in time again to a 1955 book cited in some footnotes on social and emotional learning. Called Utopia 1976, it alerts us why values, virtues, and imagining a different tomorrow are suddenly the focus of all forms of education. “…we must recognize the most dangerous–those who do not dream at all. Even if the pessimistic dream is defeated, the nondreamers may prevent any Utopia. Dreams are a form of ideas and hence are powerful makers of history. Nineteen seventy-six is of course not ineluctably determined in 1955, but here I write the story as I see it and as it will be–if enough men and women so want it.” From now on, when we hear or read a discussion about learning standards like the Common Core in the US or competency frameworks or learning objectives, I want us to recognize that the actual purpose is to get enough people signed on to a common vision so they are motivated to make it happen. Anyone controlling the construction of that intermediate layer, in other words, can drive cultural evolution. Getting at that intermediate layer can be called an SEL focus to prevent bullying and create a Positive School Climate. It can be called creating the attributes or dispositions for good citizenship. It can sold as instilling self-esteem and a sense of agency by creating a Learner Profile of personal characteristics that together amount to a student’s Identity. It’s all the same bullseye, with varying rationales that obscure that reality. One of the members of the NCSEAD Council, David Yeager, turned out to be involved with the New Paths to Purpose Project, funded by the same Templeton Foundation behind so many of the Character-building curricula, the Science of Virtues, the UK Jubilee Center, the US Constitution Center, and the Positive Education push of another member (see tag), Martin Seligman. All those constant references in education reform to ‘grit’ and ‘perseverence’ are about practicing to achieve purpose and closing the gap between what is sought and what currently exists. That’s probably why Angela Duckworth was also a member of the NCSEAD Council. That also means we, our children, and our psyches are to be the sources of the experimental research and putting political theories into practice. One more note, Richard Thaler, the U-Chicago prof who won the Nobel Prize in Economics last week, led this NPP Project. Another example of the level of proof and the ubiquity of Templeton funding in this area is the Youth Purpose Project at Stanford with an explicit paper that “Exploring Empathy, Discovering Roles, Shifting Priorities, and Creating Pathways” is the way to shift this guiding light of Purpose. The recommended means to foster that development though is by “framing culture in terms of worldviews.” For once that was not my bolding and the definition of worldview fits with what Templeton is funding in the name of Character or Positive Education and how learning standards like Competencies really work as “a worldview is a coherent set of values and ideals that persist across multiple generations. Worldviews are large-scale social agreements about what is good, true, and beautiful [see my concern?]. They give meaning to reality and help us understand the world.” So where Stanford and the Aspen Institute want to lead us in the name of purpose is also where the False Narrative surrounding the Common Core and SEL Standards takes us as well. Let’ s go back to a longer definition again from that same July 2017 paper on cultural evolution. In fact, that ubiquitous aim now at controlling internalized worldviews via education and the media is precisely why Larry Arnn’s vision of The Founders’ Key struck me as very similar in effect to where admitted communitarian and transformationalist, Amitai Etzioni, wanted to take us in the name of the New Golden Rule. With Hillsdale’s sponsorship of the Barney Charter School Initiative with its openly-declared Classical Education template we really do have all education leads to Worldview Cultivation in 2017, much as all roads used to lead to Ancient Rome. It’s where the desired action is to get the future influential people hope to achieve. After all, no recognition equals no effective opposition. Other papers in that series on cultural evolution admit that evolving human morality and controlling conceptual cognition are the keys to these plans. I want to close with a passage from the admittedly progressive and tied to our Search Engine Overlord, New America, called “Building Civic Capacity in an Era of Democratic Crisis” that just came out. It wants to reject what it refers to as ‘exclusionary populism’ by consciously striving to “build constituencies and identities that are more inclusive and accommodating.” So everything laid out in this post, whatever the offered rationale, plays right into using education to do just that. Probably not a coincidence. Those constituencies are built up from students who have Instilled the Desired Dreams and are ready to join together to “play a recognizable role” in history. All that comes quite effectively and invisibly from making education about Worldview cultivation instead of the transmission of knowledge. All education unless we catch on to the Bait and Switch and how the internalization works. I am trying my best to warn. Instead of “the British are coming” though, it seems like the 2017 version is that the Deceivers are already Here. They are consciously targeting the ears of any parent or politician worried about these education visions. Let’s start to pierce these False Narratives so we can really protect our children and this great country. In the last post, the cited Behavioral Scientist article justifying the need for #Charlottesville Conversations in all schools nationally, in turn cited a 1987 book The Battle for Human Nature by Barry Schwartz. Try not to be too shocked that I have now read that book and took today’s post title from its goals. See if anyone else thinks these aspirations were a good reason to try to create mayhem that tragically escalated, instead of simply serving as a rationale for a certain emphasis for the new school year. Since I have a hard copy I can tell everyone that the Acknowledgments page thanks a “Marty Seigman” who we all know as the Penn Prof behind Positive Education, Prospective Psychology, and Positive Neuroscience that feature so prominently in the actual new ESSA state plans and required Social Emotional Learning Standards now. Just in case anyone thinks the following quotes cannot actually be anything more than a nerdy discussion, this is was what outcomes-based education was really about. It is what standards-based reforms such as the Common Core or even supposed alternatives like the Catholic Curriculum Frameworks are really about. It’s why we keep running into the phrase ‘human flourishing’ around every corner in education. I also suspect it is what the outcry over the DACA rollback is really about. I write books and this blog to do that, but somehow I doubt Davidson would see it that way. Notice you could substitute virtually every religious faith for what they are using the “Reformed tradition” to rationalize. For secular progressives, the word Democracy will substitute nicely as well. Virtually everyone seems intent now on insisting that education “cultivates humane instincts, and creative and disciplined minds for lives of leadership and service.” Again, this is not a new thing as we can see in a book from 1955 that Schwartz cited called Utopia 1976. It spoke openly about a desired “coming revolution of the spirit of man,” which is certainly a good reason for ubiquitous SEL, isn’t it? The current Davidson statement complained about “those in our society, both conservative and progressive, who would separate faith and reason.” Utopia 1976 wanted that same combination to fuel its “desired revolution of the spirit”. It even provided the reason for all this Mind Arson and Dumbing Down I and others have documented through the years. Notice the use of the word “apperceive” to describe what Davidson called “disciplined minds” and “Marty Seligman” thanked above now calls Prospective Psychology. With Templeton Foundation funding just like the Jubilee Centre that has created the Knightly Virtues curriculum and the Moral Development Framework. If only we had some continuity in these initiatives across the decades, institutions, and countries. Oh, wait. “We will avoid some of man’s great prior losses that occurred because discoveries came before man had knowledge enough to recognize the novel. We will apperceive what is in front of our eyes, and not only what is behind them. Every human, to lesser or greater degree, has the capacity of hypothesis, imagination, comparison, and reason. And this capacity, affected by environment, can be taught. [Can anyone say ‘inquiry learning’?] Even the art of intuition is not exclusively a matter of genes. The shifts we have all noticed in the curriculum make far more sense once we read Schwartz complain about “Knowing what forces are responsible for keeping the planets moving about the sun does not give people any particular power to control or change them.” No need then for a transmission of knowledge curriculum. Better to focus on creating a new guided moral compass to motivate a change in behavior and a desire to transform the world as it is.That would be “current social conditions” to Schwartz. I guess that would be the world behind us so we can concentrate on the world that might be. Prospective Psychology again or just competency-based education when accurately understood. So “Knowledge” now is really only worth knowing when “it identifies aspects of the world over which people can exercise some control.” No wonder we keep hearing requirements for relevant, authentic learning. I am going to end this post with another Schwartz quote from his Epilogue as I believe it lays out perfectly why we keep hearing about Outcomes, Objectives, Standards-based Reforms, and Competency Frameworks. Remember how we just keep encountering a desire to use education to force an evolution of prevailing culture? Think about this when we falsely assume that the schools or colleges of today have the same purpose of the ones we attended. The paths of desired transformations via education are probably the least accidental of all. It’s why we keep coming across the same vision of the future, but with a variety of justifying rationales depending on the expected audience and what is plausible. The true desired transformation may not be pleasant to see, but neither is there any doubt what education’s new role is and why it must be ‘student-centered’. The whole student–head, heart, hands, and will. 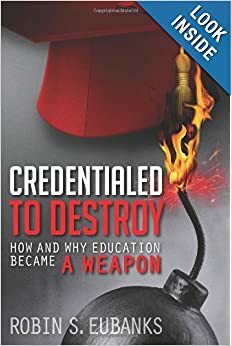 Rather than continue on with what is going on now behind our backs in K-12 education globally, let’s go back in time first to pick up some of the ‘deep pillars’ from the late 80s and 90s that ground the supposed “social capital that is comprised of human character, competence and values.” In my book Credentialed to Destroy I laid out the template for what was called Transformational Outcomes Based Education. I also covered events taking place in the mid to late 80s in the West that suggested insider preparation for the “Fall” of the Berlin Wall and Communism. Today’s post should be seen as building on the Deep Pillars also laid out in the book. We need to grasp every aspect that political insiders, think tanks, institutions of faith, and other public policy forces who turned out to be involved, were quietly advocating and implementing to achieve a particular vision for the future. This is from an essay “Citizenship: Transcending Left and Right” contained in a 2004 book Building a Community of Citizens: Civil Society in the 21st Century. I found it referenced in footnotes as I followed up again on the deceit surrounding the Common Core and other education ‘reforms’ currently. If this quote reminds anyone else of Amitai Etzioni’s New Golden Rule, he is listed as a consultant on the book. As we have encountered the Bradley Foundation a great deal as we have followed widely disseminated education narratives that happen to be false, I should note that their then President, Michael Joyce, also wrote one of the essays in that book. Let’s skip to another book from 1998 brought to us by the Center for Public Justice that “pursues civic education programs from the standpoint of a comprehensive Christian worldview. The Center advocates equal public treatment of all faiths and seeks political reforms to strengthen the diverse institutions of civil society.” It turned out that Antonio Gramsci was not the only visionary to see Marching through the Institutions as the way to later prevailing consciousness and culture. So have groups, politicians, and think tanks many of us have simply assumed to be representative of Conservatism. It turns out though that the best way to get Marx’s Moral Revolution in place is to get religious faiths on board as well, control education, and redefine concepts like Liberty and Freedom we all think we understand. But I did promise deep pillars and we have remained in the 90s, haven’t we? In my tiptoeing through the footnotes, I not only found the books cited above, but also a 2007 book Godly Republic: A Centrist Blueprint for America’s Faith-Based Future. Written by John DiIulio, Bush 43’s first faith-based czar, it had an Appendix I had never seen referenced before from June 25, 1988. The document was called the Williamsburg Charter: A National Celebration and Reaffirmation of the First Amendment Religious Liberty Clauses and whatever the 100 highly influential people who signed the charter thought they were endorsing, the actual function of the document is to commit to an internalized Marxian moral revolution. Yes, I am sure as I have read a lot of the language when no one is pretending anything other than driving the deep pillars the Human Development Society would need in values, beliefs, emotions and other motivators of future action. Take a look at that Williamsburg Charter in one of the variety of places it can be found. It will do wonders toward our finally achieving an accurate “community of understanding” about what is truly going on in education and why. How often do we see education changes pushed in the name of being ‘internationally competitive’? Let’s take a look at something Andreas Schleicher of the OECD said just a few months ago: “In the past, education was about teaching people something. Now, it’s about making sure that students develop a reliable compass and the navigation skills to find their own way through an increasingly uncertain, volatile, and ambiguous world.” Disagree with that new vision of education? Well, realistically most of us do not get a chance to because that wholesale shift in direction is hidden behind a phrase we simply assume we understand. Let’s try another one, should the primary purpose of education in the 21st Century be “the intentional attempt in schools to foster the development of students’ psychological characteristics that motivate and enable them to act in ethical, democratic, and socially effective ways”? Again, that’s a shift that parents or taxpayers may never see as it hides behind phrases like Whole Child, Classical or Character Education, or College and Career Ready. In other words, if the typical child is being supplied with the Ideas and Concepts to guide their thinking in predictable ways, we adults are likewise being supplied with poorly grasped new definitions and false narratives about the Common Core or competency-based education that are also intended to guide our thinking and areas of concern. While my tendons were healing I noticed a sudden push from a variety of education sites for a Parent Toolkit for Student Privacy that I decided to take a look at. I read it and recognized that it wasn’t going to solve the real problems and its release would simply obscure parents ever truly grasping the nature of these education ‘reforms’ and the purpose of standards and data gathering. To use Schleicher’s term, the internalized compass at the level of our children’s minds and personalities would still be wired up at school and parents would remain unaware. Meanwhile they would believe they had ‘protected their child.’ Since parents would remain unaware of the presence of the compass they could not discern the vision it was invisibly steering their child to adopt and support in daily behaviors. Sponsoring a Privacy Toolkit that essentially misdirects the attention of concerned and attentive parents makes perfect sense for an advocacy seeking community change if the building block for the desired change is creating that desired ‘reliable compass’ within each student during their years of schooling. People cannot rally against initiatives they are unaware of because of a coordinated effort to deceive them. It just cannot be coincidental that so many pushed the same largely irrelevant to the actual problem panacea at the same time. We are apparently supposed to believe that there is a database of PII-Personally Identifiable Information–that will be used to track our child and control their future opportunities for work. We are also being misled that nothing imposed at the state or local level can be dangerous. Sure it can, especially when we are being lied to so we are all unawares. Agreement exists all right, but it is not on hardly any parents’ radars because of all this organized deceit. A philanthropy interested in social justice and community change would have every reason under this vision of how to achieve the SDGs to push a Privacy Toolkit that makes the desired changes at the level of the individual easier because it is the classic “Look Squirrel!” misdirection. How do we get the desired “empowered, critical, mindful, and competent citizens”? Remember the Positive Education report I covered in the March 6 “Radio Silence” post or the “Inside Out” aims from the last post? Does anyone doubt that the Reliable Compass will also serve as the desired internalized component of Amitai Etzioni’s New Golden Rule I covered on April 4 in “Embody or Perish”? The June 2017 IPEN Newsletter hyped a new Framework for Character Education in Schools from the same Jubilee Centre we met in this post from last spring on the supposed Science of Virtues. http://www.invisibleserfscollar.com/locating-the-internalized-information-guiding-human-behavior-so-it-can-be-controlled-and-transformed/ Notice that same aim as well as the word redefinition technique we are still dealing with now. In that case it was what the word ‘Liberty’ is now to mean behind our back. See if this does not sound like the same aims we encountered above repeatedly. Let’s take a break from that quote to catch our breath and mull over just how manipulative and hidden those aims are. After all, those very same ‘enabling or performance virtues’ are outlined in standards for social and emotional learning. The Faux Narrative though has parents convinced we are back to a concerning database of PII and their poor tracked child. Do you remember my warning about the Marxian Human Development Society and the new kind of citizen with different internalized personal traits, values, and beliefs it would need? Doesn’t this all just fit perfectly? No wonder our attention keeps being directed in unison elsewhere. If that sounds rather collectivist, it’s because that is precisely the intent we were never supposed to grasp. If fundamental to transforming “social and institutional conditions within all human beings can flourish” is instilling an internalized “ethos of cooperation and mutual goodwill,” what better tool could there be than using education to make that the nature of the “reliable compass”? If this blog provided sound effects, I could blow the whistle now and holler that we have reached our destination. This is the 6th post in a series that began on February 27. I used the unexpected DeVos declaration of our ‘moral obligations’ and the IPEN paper on global education as recent examples of what the UN had enacted in the late 90s as the Universal Ethics Framework. I found that because well-known communitarian advocate Amitai Etzioni cited it as he laid out his vision for The New Golden Rule: Community and Morality in a Democratic Society that seemed to accurately reflect the actual classroom and school implementation of Radical Ed Reform going back to the mid-80s. It also seemed to track all the organized deceit I had found about SEL Standards, the Common Core, and other matters which are too consistent in what is being suppressed to be coincidental. “The communitarian analysis, at least as practiced here, involves a keen awareness that values need to be embodied; that is, for values to guide behavior, a society needs to evolve social and personal formations that undergird the society’s values…Embody or perish is the communitarian motto behind much of what follows. My book’s pivotal observation that the actual Common Core implementation targeted student’s ‘values, attitudes, and beliefs’ makes so much more sense once we become aware of the widespread desire for Social Reconstruction that is no longer just a project of the admitted Left. Did you know that Chester Finn of Fordham, who we have tracked back to the mid-80s duplicitous Project Education Reform and forward to his work with Diane Ravitch and now Fordham’s co-sponsorship of the PEPG forum at the Kennedy School of Government, is listed as a signatory to Etzioni’s Responsive Communitarian Manifesto? So are several other people tied to those IAV papers in the last post. This truly is where the Right and Left Pincers want to take education. They want the coercion to be invisible and binding. The role of all these think tanks makes much more sense to this vision if we know that “a core of shared values also enhances the ability of a society to formulate specific public policies.” Try not to be too shocked that elsewhere those policies must include society and its individual members meeting all needs to provide for ‘individual well-being’. The Communitarian agenda says that is the 21st Century purpose of government. Nothing like 21st Century euphemisms redeeming Uncle Karl’s real vision of human development. Lamar Alexander doing a presentation at AEI last week pretending ESSA supposedly gets the feds out of education makes perfect sense if ESSA laid out a mandate for the needed framework to force internalization within each student. Remember the requisite Internalization must occur without effective opposition from parents and taxpayers. Also, the local hype fits with the statement that “reconnecting the political decision-making bodies to community dialogues is one of the most important items of the communitarian public policy agenda.” Fits right into what AEI’s President Arthur Brooks called the true tenets of Conservatism. It requires a Revolution of the Heart too. “From a communitarian viewpoint, to draw on public schools as developers of character (for a stronger, higher self) it is most important that they focus on development of personality capabilities that enable people to act civilly and morally. [Soft Skills for All!] First among these capabilities is the ability to control one’s impulses [Is that what the above link calls the ‘right and responsibility of self-rule’? ]…Second, a well-formed person must have what Adam Smith called ‘sympathy’: roughly, the ability to put oneself in the other person’s shoes, what we would refer to as empathy. Without this quality, there is little likelihood that children will develop charity, fairness, respect for other people, or the other virtues. When a person possesses these twin capacities, the psychological foundations for abiding by internalized values are in place. I personally reject the distinction that something is not coercive as long as people and governments can successfully misrepresent what they are up to via education and the law. It is also greatly troubling I keep coming across references to collecting data on where students are in each of the 24 listed characteristics of the VAI-Values in Action–Character Survey. I need one more quote from Etzioni that goes a long way towards explaining what makes education through provided conceptual lenses and themes about what is important, cross-cutting, or Good, True, and Beautiful so necessary to a transformationalist. We will need it in the next post as I continue to prove this IS the vision ALL of education is being organized around. Long time readers will recognize this is the theory with the nerdy name of Ascending from the Abstract to the Concrete created in the USSR in 1962. I’ll say. I wanted to shout “Transfer” as Lauren Resnick has been pushing for in education reforms for decades. She must be so pleased that her integral Higher Order Thinking Skills that embodies this very concept of Revelation first, and then Apply the provided concepts to real world, concrete situations, is a required ESSA component. Measuring every student for compliance at least annually. That will be so useful for imposing this requisite Internalization. Next time we will find this same goal being stated in terms of the US Founding Fathers and the purported requirements of “constitutional government.” We will see more clearly then why facts get in the way of simply accepting the provided concepts as Revelations that are to be accepted, internalized, and never disputed. I feel like such a naughty Individualist sometimes for recognizing when we are being lied to and when something else has the same function.